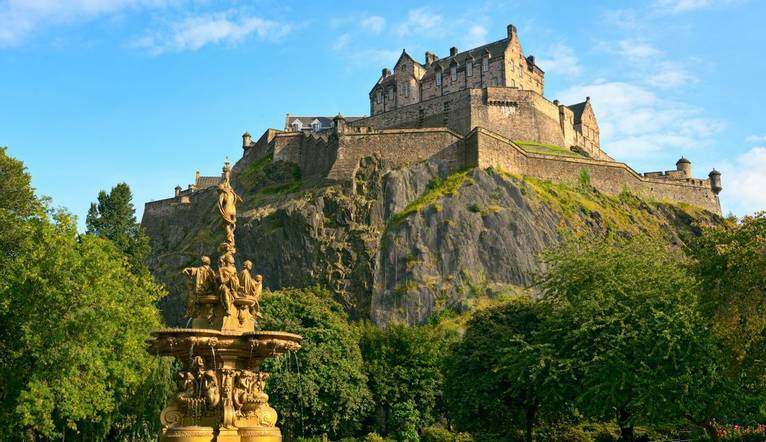 Discover the charms of Scotland’s historic capital against the backdrop of the magnificent Edinburgh Castle perched high above. We stay right in the heart of Edinburgh in the Old Town which is our base for our Scottish weekend. Head north of the border and join us as we meet on Friday night for a welcome drink and dinner. One dinner is included during our stay giving us the opportunity to sample the many local restaurants and bars this fantastic city has to offer. Due to the great location of our hotel, there are plenty of places within walking distance for us to soak up the atmosphere and grab a bite. On the Saturday morning we take a guided walking tour of Edinburgh’s Old Town and the famous castle. From here we head into the castle where this national symbol forms part of the Old and New Towns of Edinburgh World Heritage Site. This majestic attraction has dominated its surroundings for centuries and been a stronghold for over 3000 years. The tour gives us a great way to discover the city’s history and a chance to familiarise ourselves with our surroundings. The afternoon is free at leisure to explore further so perhaps explore Holyrood Palace while the shops along Princes & George Streets are right on our doorstep. Sunday morning we head over to the Scotch Whisky Experience and The World’s Largest Collection of Scotch Whisky. Our tour includes a ‘nose’ and a tasting as well as a Whisky barrel ride through the production of Scotch whisky and a viewing of the World’s largest collection. Perfect for exploring the Old Town, our hotel is just a 10 minute walk from the Edinburgh Castle, Grassmarket and the Museum of Edinburgh. Discounted parking facilities and Waverley train station are within 5 minutes' walk of the hotel. Facilities include a restaurant and bar. Our comfortable bedrooms are air-conditioned and feature flat-screen TV, safe, hairdryer, WiFi and tea/coffee making facilities. Perfect for exploring the Old Town, our hotel is just a 10 minute walk from the Edinburgh Castle, Grassmarket and the Museum of Edinburgh. Discounted parking facilities and Waverley train station are within 5 minutes' walk of the hotel. A morning guided walking tour is included of the city as well as entrance to Edinburgh Castle. On Sunday we include a guided tour of the Scotch Whisky Experience.